The first thing one notices when meeting Marco Osborne is his mellow, unassuming demeanor. 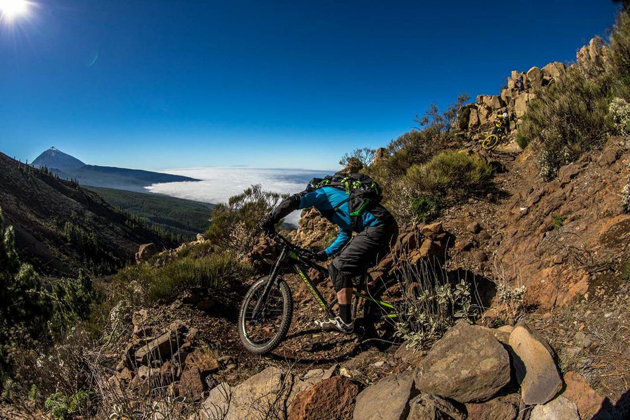 Though the lanky rookie member of Cannondale’s OverMountain enduro racing team is clearly an athlete, he doesn’t project any airs of special importance. His modest, deferential approach to conversation suggests a maturity that is well beyond his 22 years, and it certainly doesn’t hint at the fierce competitor he is shaping up to be on the enduro circuit. Behind Marco Osborne’s mellow demeanor lurks a fierce competitor. Expect to be hearing more from this 22-year-old native of Novato, California. Photo by Jake Hamm. Just a couple of years ago, the Novato, California native was working the lifts at Lake Tahoe, following his passion for snowboarding and adrenaline-fueled excitement, but with little direction to his future. Fast-forward to today and he has a major bike sponsor, a travel budget and some seriously talented teammates who also happen to be his close friends. Osborne’s lucky break came a couple of years ago, when he reconnected with his old friend Ben Cruz, the young enduro-racing phenom whom race veteran Mark Weir took under his wing a few years back. In the same way that Weir recognized Cruz’s raw talent and decided to help him channel it into something bigger, Cruz recognized the potential in Osborne, and the two started riding and training regularly. “Once Ben and I started riding together, we became super-close friends and built a close friendship around mountain biking,” Osborne said. “I became just another piece in the puzzle of Novato’s riding community. 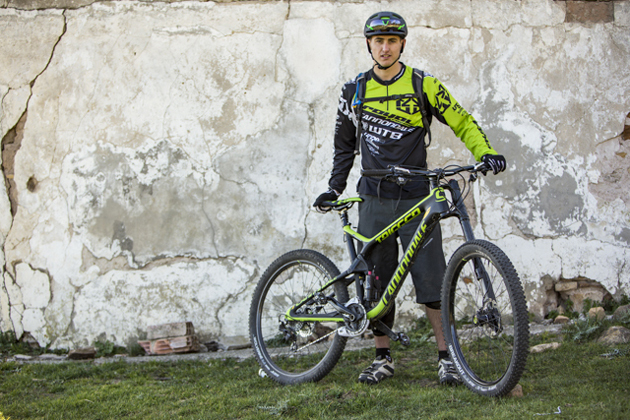 If Osborne hadn’t reconnected with his old friend, Ben Cruz (pictured above), he probably wouldn’t be racing enduro—and he almost certainly wouldn’t be riding for Cannondale. Photo by Ale di Lullo. 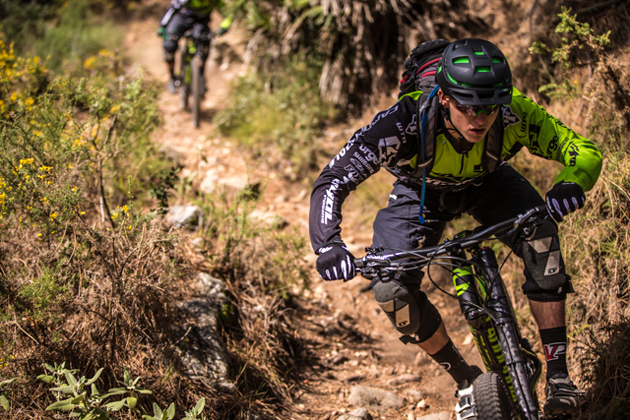 This year, at the recommendation of Weir and Cruz, Cannondale made Osborne an official member of its ‘OverMountain’ enduro-racing team. In an instant, he had become a professional mountain bike racer. And not only would he race alongside his friends Cruz and Weir, he would join the ranks of veterans Jason Moeschler and Frenchman Jerome Clementz, who just so happens to be the reigning Enduro World Series Champion. And if recent race performances in Spain are any indication, Osborne could be a podium threat this season. 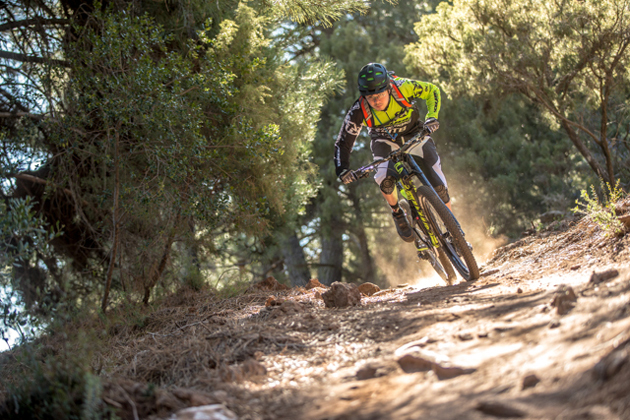 In a two-stage enduro teaser race co-organized by Cannondale Bicycles and Big Ride last week, Osborne took first overall, narrowly beating Clementz. 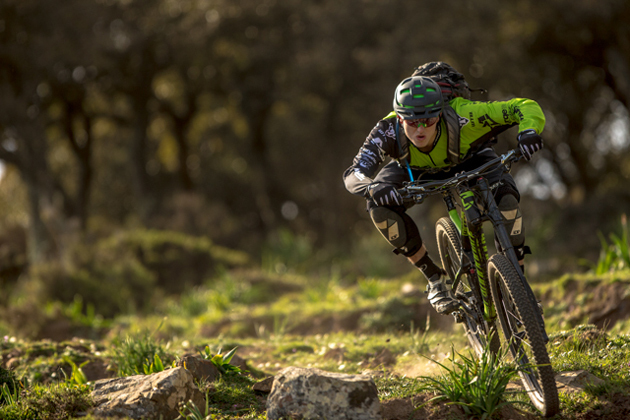 And over the weekend, in the Big Ride-organized enduro race in Ojen, Spain, Osborne took second place behind Clementz. Having spent years riding in Novato and the Lake Tahoe area, Osborne is no stranger to rocky terrain. The stunning scenery always comes included. Photo by Ale di Lullo. 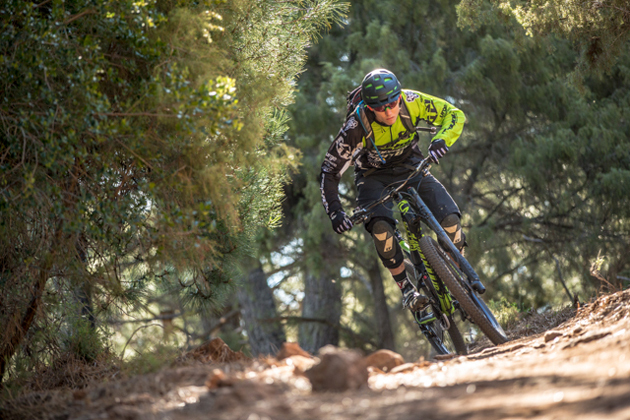 Last week’s trip to Spain with Cannondale was the young Osborne’s first time overseas, and the wide-eyed rookie was making the most of it. Though he has a naturally shy disposition, Osborne was going out of his way to meet new people and make friends. Last week in Spain, the tall, lanky Osborne showed a style that is singularly focused on speed. Nothing is more important to him than getting down the course as quickly as possible. Photo by Ale di Lullo. For Osborne, the enduro race format is the ultimate showcase of overall riding ability, and is exactly where he wants to be. “Enduro allows you to spend your whole day on your bike and ride numerous downhill trails as quickly as possible,” he explains. “It shows a well-rounded rider who can hold his lines and still pedal and throw down the hammer when necessary. It’s a true measure of a great all-around mountain biker. For Osborne, the enduro race format represents a true measure of overall riding ability—which is clearly something he possesses. Expect to see him toward the front of the pack this season. Photo by Ale di Lullo. As a rookie on the Cannondale OverMountain team, Osborne still needs to prove himself, so his travel budget is limited, and he will mostly focus on North American races this year. “My main focus will be the North American enduro tour and the Big Mountain stuff,” Osborne said. “I’ll also do all of the California enduro races, and hopefully three or four Enduro World Series events, depending on budget. Could Osborne be the man to beat on this year’s North American enduro circuit? Photo by Ale di Lullo.